Holiday from 07.07. to 14.07. A photo album as individual as you are. The Piccolo Twins and our new features. Our family just got twins! Just add our Piccolo Twins to your order and for a small price, you can share your big moments with more of your loved ones. 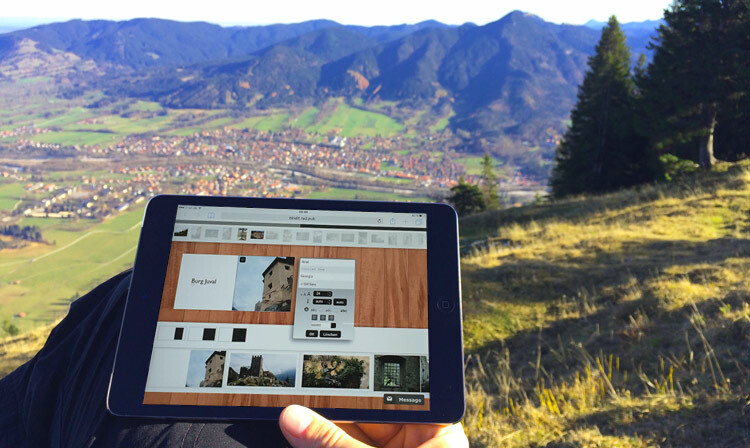 Our Online Designer can be used anywhere – even on your tablet. Just store your photos in a Dropbox folder or another cloud application and you can design your photo album from wherever you happen to be. 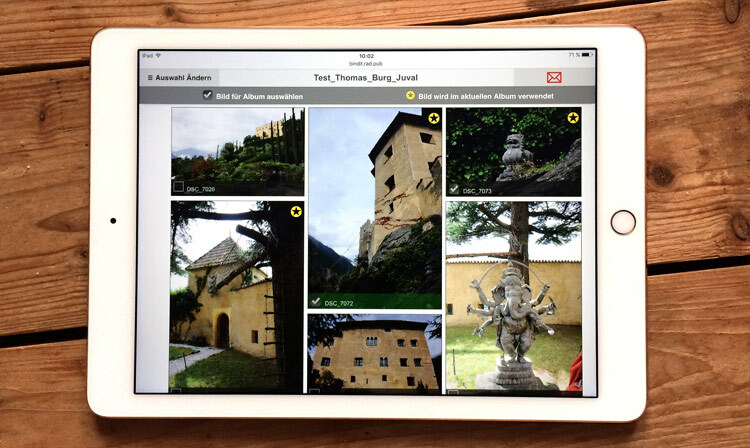 With our gallery function, you can invite others to help choose the best photos. You can also share your finished album with your closest friends with just a click. In this way, everyone can be a part of your best moments. 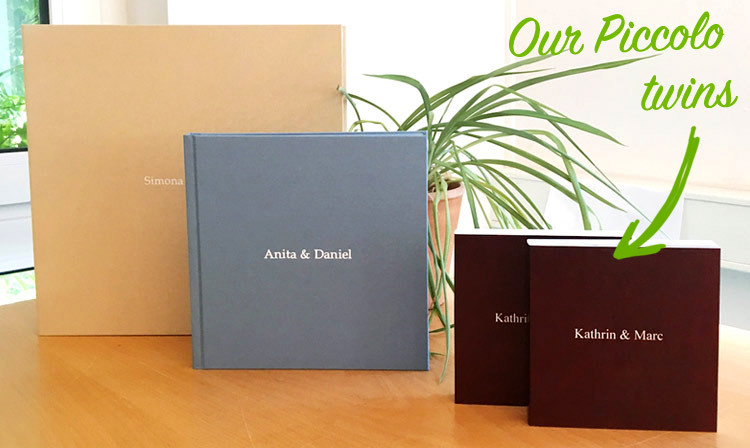 Of course, we would also be happy to make an exclusive Bindit photo album for your friends and family members. Choose cover material?Choose between high quality regency linen or genuine tanned leather! Choose your cover? We only use genuine tanned leather. What is the difference between the Pro Upload and the Online Designer? The Pro Upload offers the possibility of directly uploading professionally designed double-paged spreads. Programs such as Photoshop, InDesign or Gimp can be used to do this. The Online Designer, on the other hand, allows you to design your photo album and the individual pages online yourself with just a few clicks. Please note: Pages that have been designed according to Pro Upload specifications cannot be used in Online Designer! We deliver in Germany within five working days after your order has been submitted. Could you design a photo album for me? Yes we can. We collaborate with designers that can do it for you. Just send us an email at: info@bindit.de. Can I also make a series of books? Because we are the manufacturers, it is absolutely no problem to create a presentation box for two books. Just send us an email with your individual requests at: info@bindit.de – and we will take care of it. Is it possible to visit Bind it? your father-in-law’s TV armchair into a book cover? at our bookbinding manufacture under: +49 40 875 0 9800. We are available Monday-Friday between 9am and 4pm.